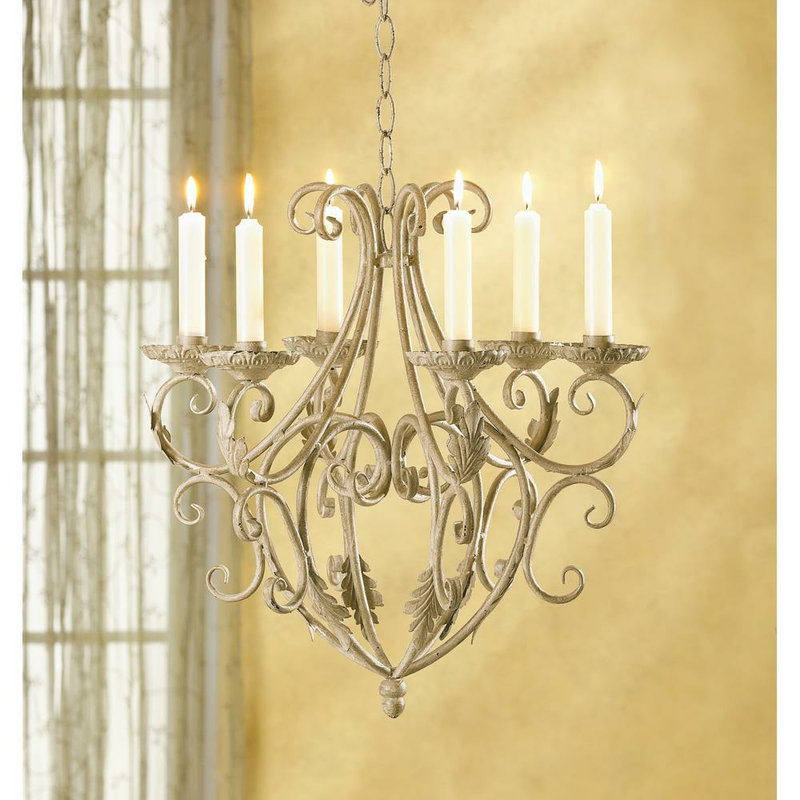 Elegant candelier delicately designed in wrought iron to bring home the romantic charms of the Old World. Uses taper candles (not included). Weight	3.6 pounds. 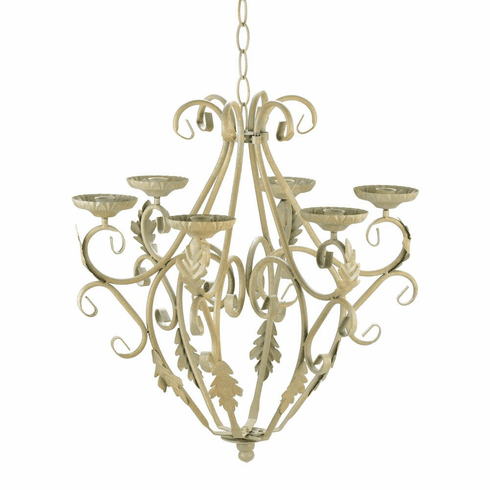 16½" x 15" x 17 3/8” high; hook and chain is 39½" long. Iron. UPC: 849179000431.